Alopecia areata is an autoimmune disease characterised by non-scarring hair loss in single or multiple areas of the scalp, face or body. It is quite a common condition and about one person in 50 will experience an episode of alopecia areata. The scalp is most commonly affected. There are no symptoms associated with the hair loss and the scalp skin looks normal. New hair eventually grows back but it can take many months. 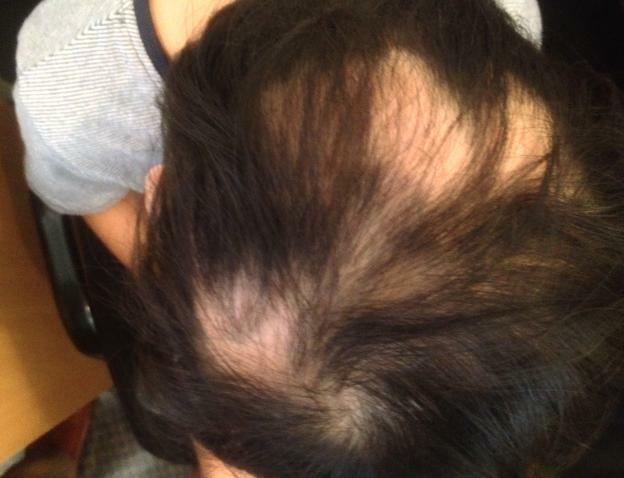 Very rarely, alopecia areata can become much more extensive. In alopecia totalis there is complete loss of all scalp hair, whilst in alopecia universalis there is complete loss of hair everywhere (eyebrows, eyelashes, beard, underarm and pubic hair). Fortunately, most people affected with alopecia areata experience only small patches of temporary hair loss. The condition is not life threatening and does not cause pain but the cosmetic effects can be significant and there are often repeated episodes. Alopecia areata is believed to be due to a genetic predisposition and an environmental trigger. This causes an immune attack on hair follicles, in particular the follicles with pigment. In some people, acute stressful episodes, or anxiety attacks, have been implicated as an initiating cause. The area of alopecia is usually smooth, or may contain some unaffected white hairs, or hairs broken off close to the surface called “exclamation hairs”. The condition is non-scarring and therefore follicular openings remain undamaged. Other than the visible hair loss, alopecia areata is usually symptomless. Some people describe itch or a burning sensation. Nail abnormalities, most commonly a very fine pitting, can also be observed. The hair pull test can indicate active disease (hair is pulled at the edge of hairless patches and if more than 6 hairs are pulled out, it is considered to be positive). What other problems can occur with it? Conditions that occur at a higher rate than normal in people with alopecia areata include atopic dermatitis, vitiligo, thyroid disease, pernicious anemia and Down’s syndrome. Usually the diagnosis of alopecia areata is based on clinical findings alone. If there is doubt about the diagnosis, a scalp biopsy, hair plucking and skin scraping may be performed to rule out tinea or a blood test may be performed to rule out lupus or syphilis. Alopecia areata cannot be cured or prevented. However, a wide variety of treatment options is available. Topical treatment options include topical steroids, latanoprost/bimatoprost and topical minodoxil (usually used in conjunction with topical or intralesional corticosteroids). Intralesional corticosteroid injections may be more effective because the disease is actually quite deep below the skin surface on the scalp. For more extensive disease topical anthralin or dithranol cream, diphencyprone topical immunotherapy and ultra violet (UV) phototherapy have been used. Systemic therapies, not routinely recommended, include oral corticosteroids and immmunosuppressive medications (such as cyclosporin, sulfasalazine, methotrexate, and azathioprine). Many people with patchy alopecia areata are not actively treated, as there is a high rate of spontaneous resolution or recovery. Psychosocial support may be beneficial in people with coexisting psychological issues. However, for people with extensive areas of hair loss there is much less likelihood of regrowth and often no viable treatment options. 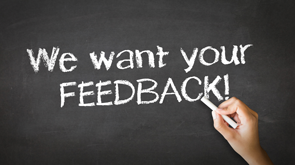 The best advice is often to accept the changes and consider ongoing psychosocial support. Many women affected with alopecia areata consider wearing a wig whilst men may shave their scalp. What is the likely outcome in alopecia areata? Factors that can indicate a poor prognosis for alopecia areata are large extent hair loss at presentation and a pattern of hair loss shaped like a wave around the circumference of the head called “ophiasis”. The longer the duration of hair loss, the younger the age of onset, a family history of alopecia areata, the presence of other autoimmune diseases and nail involvement suggest a lesser likelihood that the hair will regrow. The exact prognosis is unpredictable. However, about 50% of affected people will recover within one year. Recurrent episodes of hair loss are likely.